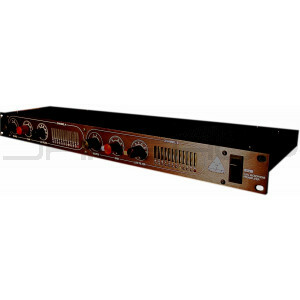 The input selector switches between mic and line or two microphones, a great feature for comparing which mike is really the best for that particular job. Reverse the phase of the input signal by one switch, select +48 volt phantom power for condenser mikes. Gain swing of the pre is from a true unity to +60 dB without any pad. Ultimate quality and dynamic handling capability. After the pre, the variable sweep low-cut controls those lows that can muddy a mike so easily. From 5Hz to 200Hz, remove stage or floor rumble, take out sub-sonic interference and actually improve the H.F. performance of the signal by the elimination of L.F. intermodulation distortions.